The O’Connor Brothers Band is a four piece Denver, CO. based band that plays original Rock, Blues, Jazz, and Soul influenced music written by Matt and Sean O’Connor. The O’Connor Brothers Band brings an upbeat, modern feel to a classic sound to create a unique and gritty style. Making up the main cast of the band is Matt O’Connor on guitar/lap steel and lead vocals, Sean O’Connor on saxophones and backup vocals, Collin Sitgreaves on drums and percussion, and Pierce Murphy on Bass and backup vocals. Rotating members have included Keller Paulson on Drums and Collin Ingram on bass. Matt, Sean and Collin all first played together while studying in the jazz program at Colorado State University in Fort Collins, Colorado. 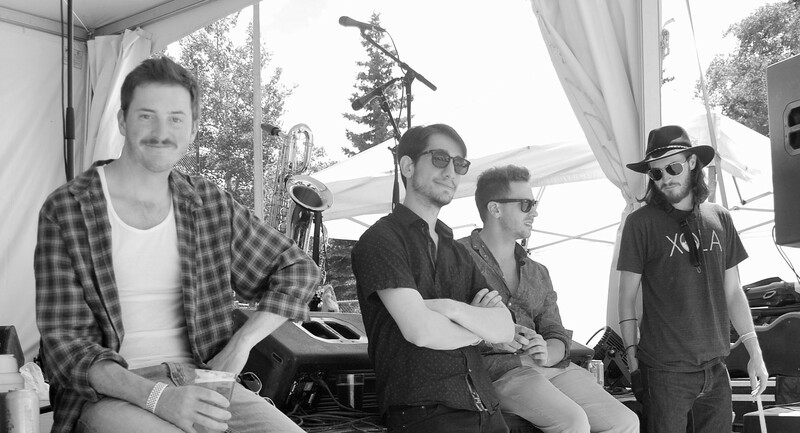 The band got their start playing college house parties large and small around the Fort Collins area and quickly spread to more legitimate venues and festivals all around the state. Band members have had the pleasure of sharing the stage with such artists and bands as: Grant Farm, Eminence Ensemble, The Sweet Lillies, Compass and Cavern, Creature Canopy, Jon Gray, Jessica Jones, James H. Dumm, Erik Olson, Alex Nauman Organ Trio, Beau Thomas Band, and Jake Wolf just to name a few. Driven by their front man, Matt O’Connor, the band draws its inspiration and influence from many current and past groups and artists as the Dave Matthews Band, Ben Harper, Taj Mahal, Little Feat, Neil Young, Gary Clark Jr., Tedeschi Trucks Band, Trombone Shorty and many others. The O’Connor Brothers Band has gained momentum through their family, friends, fans and bandmates. They look forward to playing a venue near you.